Garmin® introduces the vívofit® 4 activity tracker | JustRunLah! 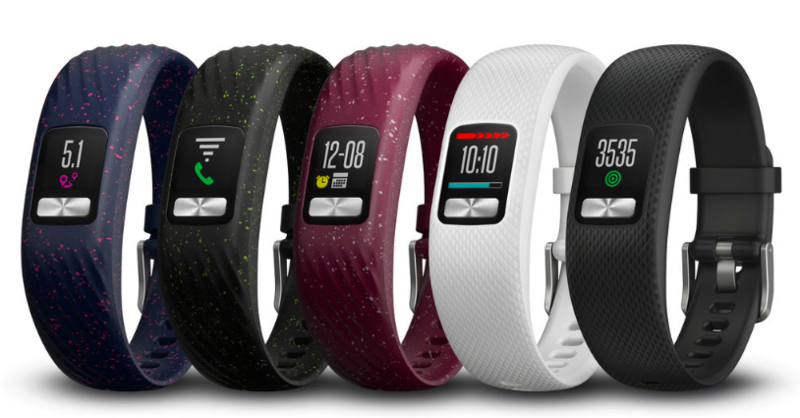 Singapore, 09 February 2018 – Garmin Singapore today announced the vívofit 4, a daily activity tracker with an incredible 1+ year battery life – no charging necessary – and a sunlight-readable, always-on color display. Designed for 24/7 wearability, the vívofit 4 is swim- and shower-safe and features a sleek, comfortable band. The vívofit 4 is ready to go right out of the box and can be paired with a smartphone for additional features. Easy to set up and simple to operate, all that’s left is to put it on and go. For those customers looking for more than just basic activity tracking, the vívofit 4 can be paired with a smartphone, adding even more functionality and options, such as tracking sleep, intensity minutes and more. 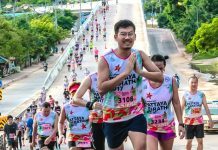 Forget to start or stop a timed activity? Thanks to Move IQ, the vívofit 4 is able to detect changes in a user’s movement and automatically capture and classify activities such as walking, running, biking, swimming and using an elliptical. Users can use the vívofit 4 as their everyday watch, complete with a countdown timer, stopwatch and multiple alarms. A weather widget gives a quick, illustrated look at the day’s weather. The vívofit 4 even includes Find My Phone for those who need a little extra help keeping track of their smartphone. Through the Garmin Connect app, users can customise the vívofit 4 with various watch faces, color themes and personalised text, such as an emergency contact or motivational phrase. Interchangeable accessory bands (sold separately) make it easy to switch up colors and styles to match any mood or outfit. Within the newly redesigned Garmin Connect, a free online community, it is easier than ever to get an at- a-glance look at important stats like steps and sleep. Users can filter and customise their data so that they are only seeing what is most relevant. Users can connect with friends and family to motivate one another, join challenges, engage in friendly competitions and more. And speaking of competitions, vívofit 4 users with children who own vívofit jr. 2 devices can compete against one another using the Toe-to-ToeTM timed step competition feature to determine who is clearing the table that night. 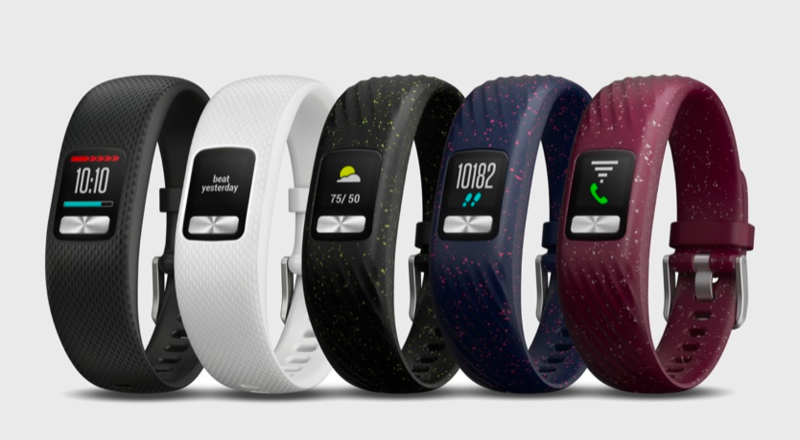 The vívofit 4 will periodically sync with Garmin Connect throughout the day. The vívofit 4 is available in White (S/M), Limegreen Speckled (S/M) and Black (S/M and L) for a suggested retail price of SGD 129 and will be available from 10 February 2018 at Advance Lap, Best Denki, Challenger, Courts, Gain City, Harvey Norman and all authorised Garmin retailers. For more information, visit Garmin’s virtual pressroom at garmin.com.sg/news/pressroom, or follow us at Facebook, Instagram or Youtube. This release includes forward-looking statements regarding Garmin Ltd. and its business. Such statements are based on management’s current expectations. The forward-looking events and circumstances discussed in this release may not occur and actual results could differ materially as a result of known and unknown risk factors and uncertainties affecting Garmin, including, but not limited to, the risk factors listed in the Annual Report on Form 10-K for the year ended December 31, 2016, filed by Garmin with the Securities and Exchange Commission (Commission file number 0-31983). A copy of such Form 10-K is available at http://www.garmin.com/aboutGarmin/invRelations/finReports.html. No forward-looking statement can be guaranteed. Forward- looking statements speak only as of the date on which they are made and Garmin undertakes no obligation to publicly update or revise any forward-looking statement, whether as a result of new information, future events, or otherwise.